Oh, Petit Collage, can you do no wrong? Click through to see the latest in this beautiful brand’s collection. My boys just love puzzles, the trickier the better. 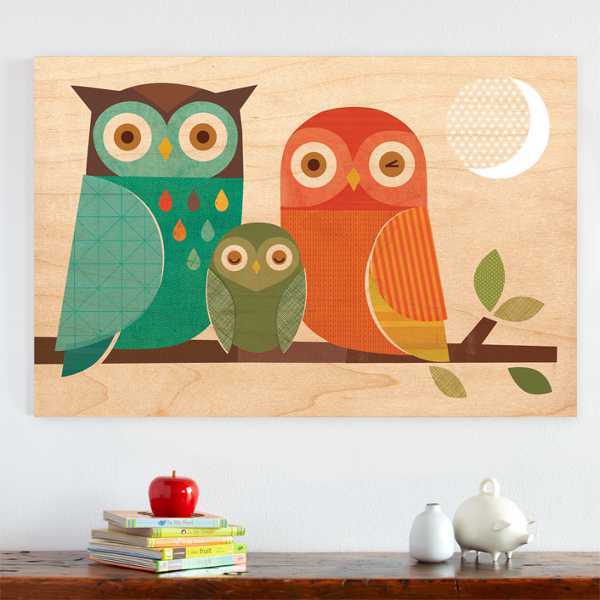 They’d go nuts for these stunners from Petit Collage. The Beginner Puzzles are bold and bright with graphic illustrations. In fact, they look like modern art. 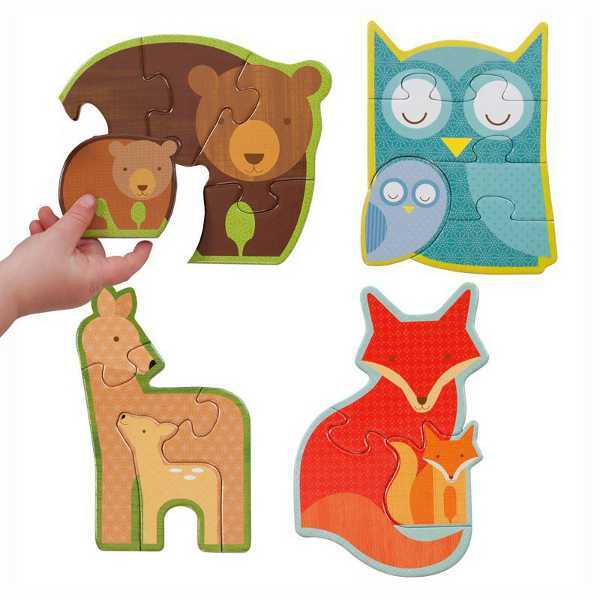 The puzzle packs are clever and made for longevity, as each set contains four progressive puzzles. 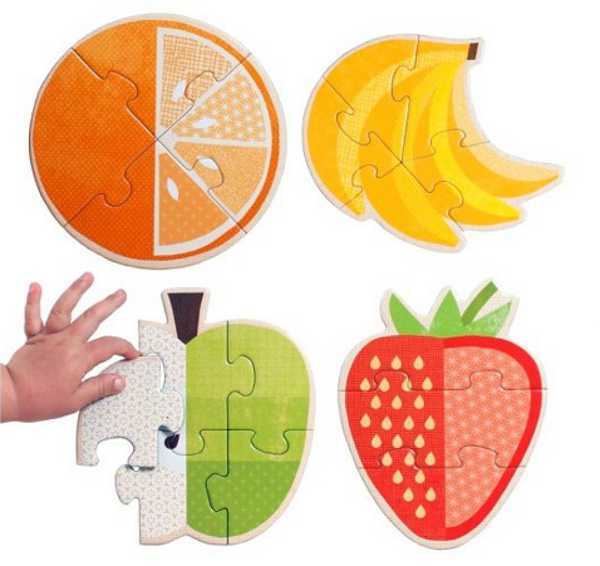 The first only has three pieces and is aimed at preschoolers, who can then progress to a four, five and then a six-piece puzzle. They come in Fruit, Safari Babies and Forest Babies and each set is US$13. 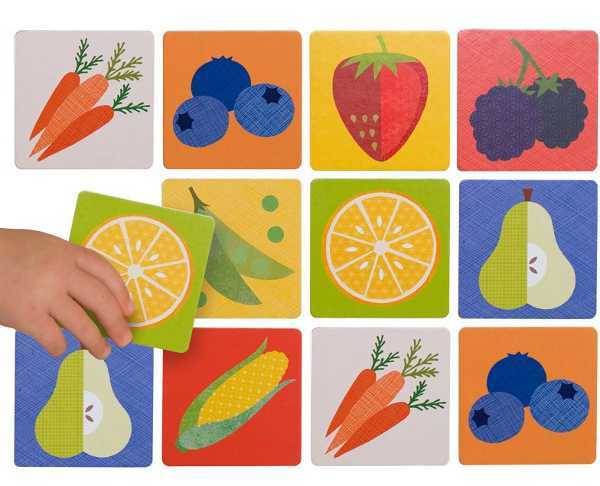 Petit Collage has also released a collection of Memory Games, and much like the puzzles, they’re designed for little hands and minds. They cost US$15. 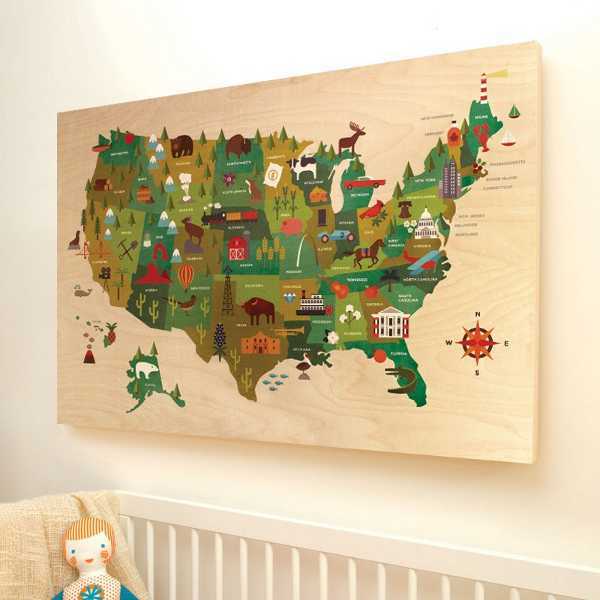 You’ll want to know too that Petit Collage has revamped its popular Jumbo Wood Panel artworks with a couple of new designs, including Owl Family and the amazing USA. They cost US$220 each. There’s now a deluxe format available for the gorgeous city prints: Paris, London, New York and San Francisco. 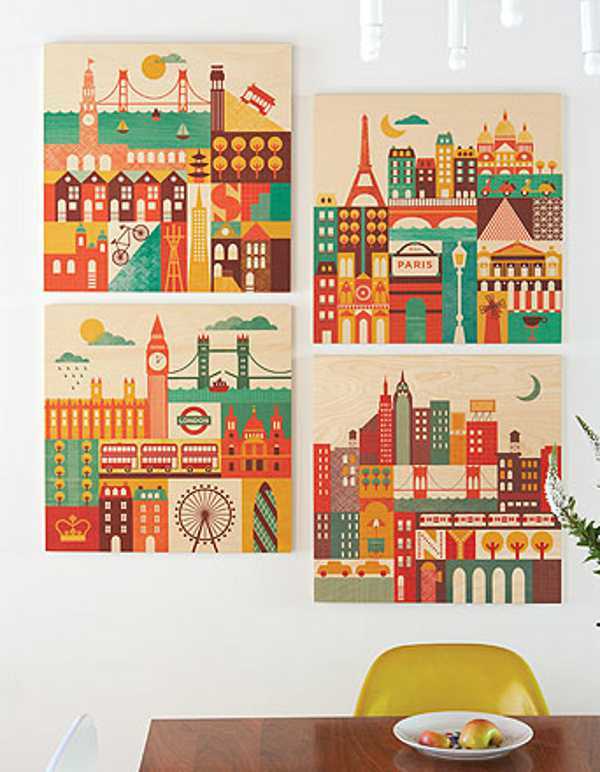 The ready-to-hang art are handmade collages created with bright vintage paper. To get your hands on some of these amazing pieces visit the Australian stockists page on the Petit Collage website. And if you don’t believe just how much we are besotted by this brand, take a look at all of our previous Petit Collage posts.